Posted June 9, 2013 in Captain America, James Clement, Michael Cho, Steve Coates, The Hulk. This week at KIRBY-VISION we will be featuring a number of posts from Kirby Museum member, Steve Coates. First up, a selection of gifted artwork from the recent Calgary Comic and Entertainment Expo. 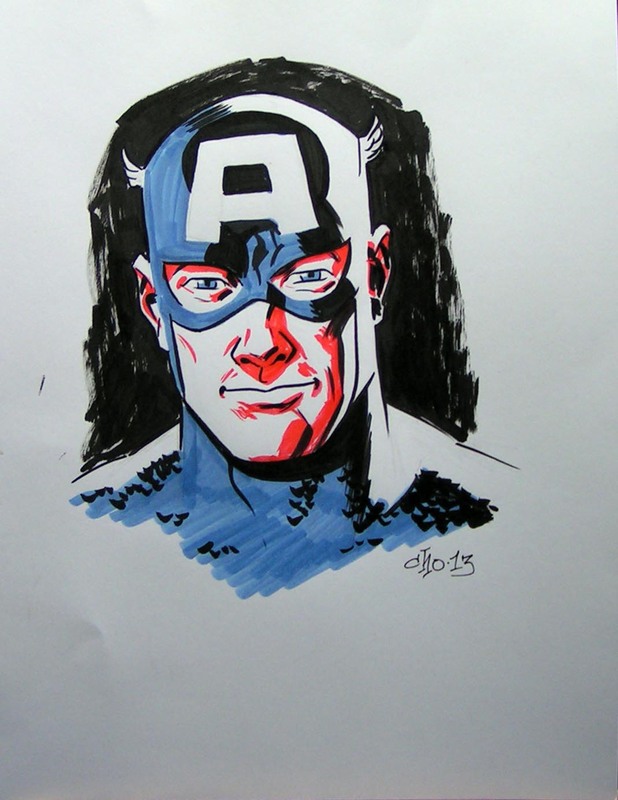 Steve writes: While Michael Cho was attending the Calgary Comic and Entertainment Expo, he presented a gift, an original Captain America portrait to the Jack Kirby Museum and Research Center, to be used for fundraising. It is such a great piece, it has to be shared. The portrait is rendered with pen and marker on a 8.5 in x 11 in marker board. The piece did not sell over the Expo weekend and remains in the Museum’s possession. A big thank you goes out to Michael for his gift and for taking part of the Jack Kirby Influence panel during the Expo. 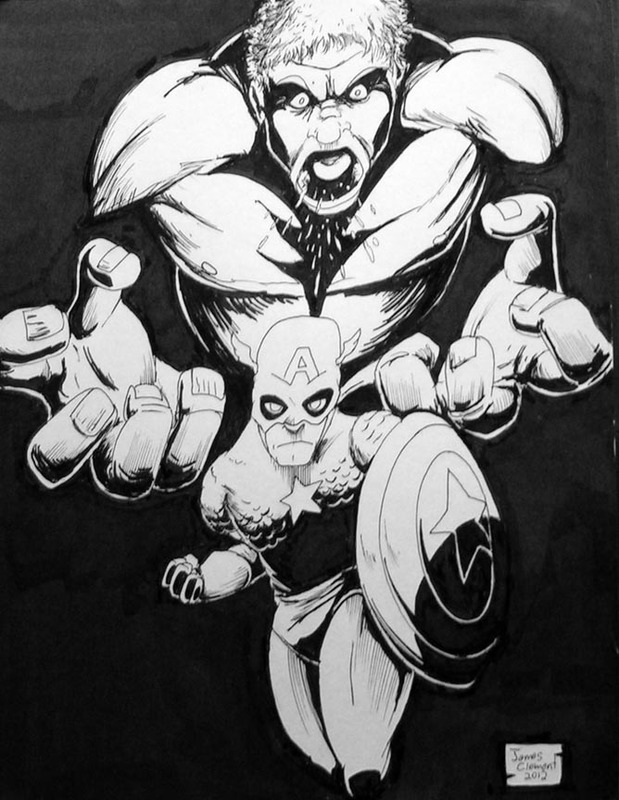 James Clement of Edmonton did the rendering of Captain America and the Hulk using pen and ink. James donated the 8.5 in x 11 in original to the Jack Kirby Museum and Research Center, for fundraising efforts. The piece remains in the Museum’s possession and will be showcased at upcoming Alberta based shows. The museum is benefitting from the continued and increasing support from artists, like James. Keep up the good work James and hope to see you at the Edmonton Expo.